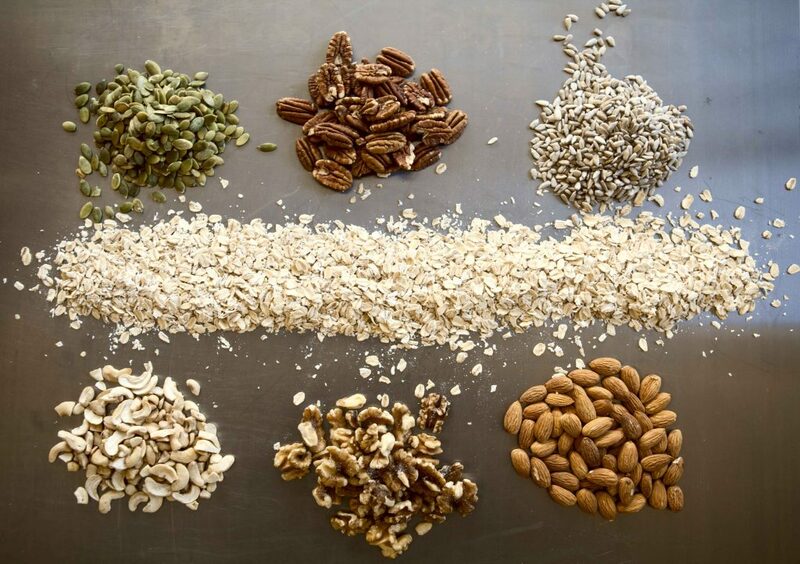 Oats are the first and most important ingredient in all of our granola. 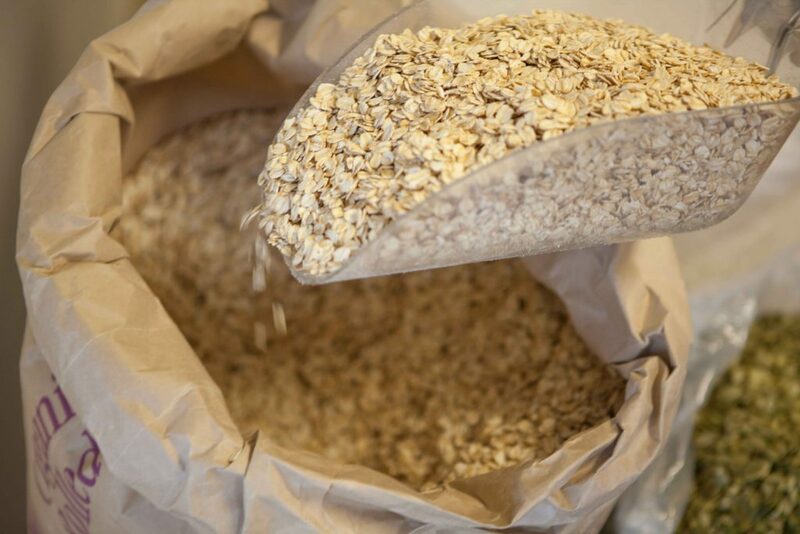 We use Organic certified gluten-free rolled oats in Tropic of Ginger and Jamaican Me Crazy and certified Organic oats in Grand Cran and Flying Oats and Nuts. We create our granolas using the the highest quality ingredients. Tropic of Ginger – is a ginger lover’s dream – a perfect blend of almonds, cashews, shaved coconut and, of course, crystallized ginger with Organic certified gluten-free oats. Made in small, slow-baked batches and lightly sweetened with a touch of maple syrup. Tropic of Ginger Ingredients: *Organic Certified Gluten Free Oats, almonds, cashews, Organic coconut chips, Organic maple syrup, Organic coconut oil, and crystalized ginger. Jamaican Me Crazy – is a tropical granola blend, made with organic certified gluten-free oats, toasted organic coconut, cashews and banana chips, sweetened lightly with Organic coconut nectar and embellished with pure organic vanilla extract. Jamaican Me Crazy Ingredients: * Certified Organic Gluten Free Oats, cashews, Organic coconut chips, Organic banana chips (banana, coconut oil, sugar, natural flavor), Organic coconut oil, Organic coconut nectar, and pure Organic vanilla extract. Grand Cran With Pecans – is great blend of cranberries, pecans, Organic pumpkin seeds, Organic sunflower seeds, hemp seeds, Organic cinnamon and, of course, certified organic oats. Grand Cran With Pecans Ingredients: Organic oats, Organic pumpkin seeds, Organic sunflower seeds, apple juice sweetened cranberries, Organic pecans, Organic coconut oil, Organic maple syrup, Organic hemp seeds, and Organic cinnamon. Flying Oats and Nuts – is a delicious blend of almonds, walnuts, the finest Organic oats, and seeds (sunflower and pumpkin), delicately sweetened with maple syrup and flavored with a touch of spices. Flying Oats and Nuts Ingredients: Organic oats, Organic pumpkin seeds, Organic sunflower seeds, almonds, walnuts, Organic maple syrup, Organic coconut oil, Organic cinnamon, Organic cardamom.